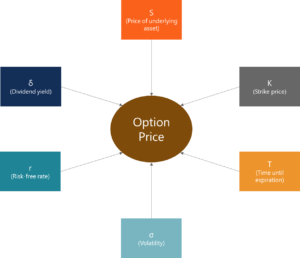 What are Option Pricing Models? Option Pricing Models are mathematical models that use certain variables to calculate the theoretical value of an optionCall OptionA call option, commonly referred to as a "call," is a form of a derivatives contract that gives the call option buyer the right, but not the obligation, to buy a stock or other financial instrument at a specific price - the strike price of the option - within a specified time frame.. The theoretical value of an option is an estimate of what an option should worth using all known inputs. In other words, option pricing models provide us a fair value of an option. Knowing the estimate of the fair value of an option, finance professionalsGuide to Becoming a Financial AnalystHow to become a financial analyst. Follow CFI's guide on becoming a financial analyst - networking, resume, interviews, financial modeling skills and more. We've seen thousands of people become financial analysts over the years and know precisely what it takes. could adjust their trading strategiesTrade Order Timing - TradingTrade order timing refers to the shelf-life of a specific trade order. The most common types of trade order timing are market orders, GTC orders, and fill or kill orders. and portfolios. Therefore, option pricing models are powerful tools for finance professionals involved in options trading. A formal definition of an option states that it is a type of contract between two parties that provides one party the right but not the obligation to buy or sell the underlying asset at a predetermined price before or at expiration day. There are two major types of options: calls and puts. Call is an option contract that gives you the right but not the obligation to buy the underlying asset at a predetermined price before or at expiration day. Put is an option contract that gives you the right but not the obligation to sell the underlying asset at a predetermined price before at expiration day. European style options may be exercised only at the expiration date. American style options can be exercised anytime between purchase and expiration date. The abovementioned classification of options is extremely important because choosing between European-style or American-style options will affect our choice for the option pricing model. Before we start discussing different option pricing models, we should understand the concept of risk-neutral probabilities, which are widely used in option pricing and may be encountered in different option pricing models. The current value of asset equals to its expected payoff discounted at the risk-free rate. There are no arbitrage opportunities in the market. The risk-neutral probability is the probability that the stock price would rise in a risk-neutral world. However, we neither assume that all the investors in the market are risk-neutral nor the fact that risky assets will earn the risk-free rate of return. This theoretical value measures the probability of buying and selling the assets as if there was a single probability for everything in the market. The simplest method to price the options is to use a binomial option pricing model. This model uses the assumption of perfectly efficient markets. Under this assumption, the model can price the option at each point of a specified timeframe. Under the binomial model, we consider that the price of the underlying asset will either go up or down in the period. Given the possible prices of the underlying asset and the strike price of an option, we can calculate the payoff of the option under these scenarios, then discount these payoffs and find the value of that option as of today. 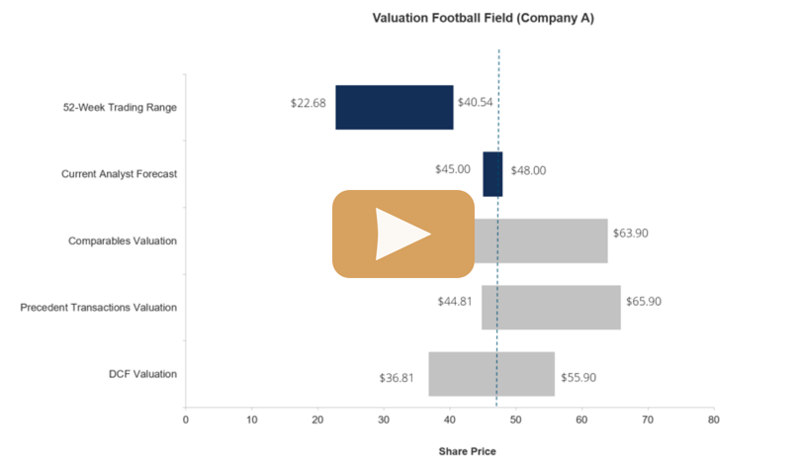 The Black-Scholes model is another commonly used option pricing model. This model was discovered in 1973 by the economists Fischer Black and Myron Scholes. Both Black and Scholes received the Nobel Memorial Prize in the economics for their discovery. Continuously compounded returns on the stock are normally distributed and independent over time. Future dividends are known (as a dollar amount or as a fixed dividend yield). The risk-free rate is known and constant. It is possible to short-sell with no cost and to borrow at the risk-free rate. Nevertheless, these assumptions can be relaxed and adjusted for special circumstances if it is necessary. In addition, we could easily use this model to price options on assets other than stocks (currencies, futures). Dividend yield (δ) was not originally the main input into the model. The original Black-Scholes model was developed for pricing options on non-paying dividends stocks. The formulas above use the risk-adjusted probabilities. N(d1) is the risk-adjusted probability of receiving the stock at the expiration of the option contingent upon the option finishing in the money. is the risk-adjusted probability that the option will be exercised. These probabilities are calculated using the normal cumulative distribution of factors d1 and d2. 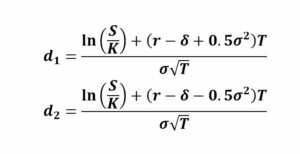 The Black-Scholes model is mainly used to calculate the theoretical value of European-style options and it cannot be applied to the American-style options due to their feature to be exercised before the maturity date. Monte-Carlo simulation is another option pricing model we will consider. The Monte-Carlo simulation is a more sophisticated method to value options. In this method, we simulate the possible future stock prices and then use them to find the discounted expected option payoffs. In this article, we will discuss two scenarios: simulation in the binomial model with many periods and simulation in continuous time. h in these formulas is the length of a period and h = T/N and N is a number of periods. After finding future asset prices for all required periods, we will find the payoff of the option and discount this payoff to the present value. We need to repeat the previous steps several times to get more precise results and then average all present values found to find the fair value of the option. In the continuous time, there is an infinite number of time points between two points in time. Therefore, each variable carries a particular value at each point in time. Under this scenario, we will use the Geometric Brownian Motion of the stock price which implies that the stock follows a random walk. Random walkRandom Walk TheoryThe Random Walk Theory or the Random Walk Hypothesis is a mathematical model of the stock market. Proponents of the theory believe that the prices of securities in the stock market evolve according to a random walk. means that the future stock prices cannot be predicted by the historical trends because the price changes are independent of each other. We generate the random number ↋ and solve for S(T). Afterward, the process is similar to what we did for simulation in the binomial model: find the option’s payoff at the maturity and discount it to the present value.